In the early twentieth century, when physicists were gaining knowledge of the properties of atomic nuclei in strides, the still young field of quantum mechanical theory was being used to interpret experimental data. At the same time, chemists were beginning to explore the implications of quantum theory as it pertained to molecular structure, a trend that culminated in Linus Pauling’s groundbreaking book, The Nature of the Chemical Bond, published in 1939. In the following forty years however, no single theory of the structure of the atomic nucleus emerged that could conceptually account for all the results that chemists and physicists were observing. Nor was there a satisfactory theory that could link the behavior of the most infinitesimal and internal parts of the atom with the much larger scale of molecular behavior and chemical reactions. In other words, there was not yet a single accepted unified theory of quantum physics and chemistry. The pursuit of just such a theory stood as a holy grail of sorts, occupying the hopes, dreams and energy of many a twentieth century scientist. Though he had begun work on the topic much earlier, Pauling first revealed his theory to the world on October 11, 1965 at a meeting of the National Academy of Sciences, held at the University of Washington in Seattle. His talk that day was titled “The Close-Packed-Spheron Theory of the Structure of Nuclei and the Mechanism of Nuclear Fission,” and its contents mirrored a pair of similarly titled papers that he published that same year: “The Close-Packed-Spheron Theory and Nuclear Fission,” published in Science, and “The Close-Packed-Spheron Model of Atomic Nuclei and Its Relation to the Shell Model,” which appeared in the Proceedings of the National Academy of Sciences. In each of these works, Pauling advanced a theoretical framework that incorporated features of three older theories – the cluster, shell and liquid-drop theories – while also accounting for several observed phenomena of atomic nuclei that were difficult to explain at the time, such as asymmetric nuclear fission. Importantly, the close-packed spheron model of the nucleus differed from past models by declaring “spherons” as its units, rather than nucleons. Pauling described his rationale for this choice as having been an outgrowth of his thinking about nuclear fission. Twenty five years ago a phenomenon of tremendous importance was discovered, nuclear fission. In the uranium nucleus and other heavy nuclei, fissioning produces a lighter and a heavier nucleus, with mass ratio about 2/3, several hundred times as often as two nuclei with equal mass are produced. Why is fission asymmetric in this way? Here is a simple reason why this might be: I assume that in nuclei the nucleons may, as a first approximation, be described as occupying localized 1s orbitals to form small clusters. These small clusters, called spherons, are usually helions, tritons, and dineutrons: in nuclei containing an odd number of neutrons, a (Helium-3) cluster or a deuteron may serve as a spheron. Pauling’s basic assumption here was that, in atomic nuclei, the nucleons were in large part aggregated into clusters that are arranged as closely as allowed by the laws of physics. Nuclei with more neutrons than protons were called tritons or dineutrons by Pauling. Likewise, the clusters of neutrons and protons occupying localized 1s orbitals were called spherons. The most important spherons in Pauling’s conception were aggregates of two neutrons and two protons, which he called helions, though they were already known to physicists as alpha particles. The localized 1s orbitals that these spherons occupied could also be described mathematically as hybrids of the central-field orbitals that are outlined in shell theory. This process of hybridization of orbitals provided a formal basis for relating the cluster model – of which Pauling’s theory was an extreme version – and the shell model. Pauling also put forth the idea that the spherons in a nucleus were arranged in a series of concentric layers. For a large nucleus, the outer part of the cavity inside the surface layer was occupied by spherons that were in contact with the inner side of the surface layer. These spherons constituted a layer of their own, within which Pauling believed there might reside yet another layer of spherons. To avoid confusion with the “shells” of the shell model, Pauling referred to his spheron layers as follows: “the mantle” for the surface layer, and the “outer core” and “inner core” for the two additional constituents of a three-layer nucleus. In an effort to assure the scientific rank and file that he was not seeking to upend their entire understanding of nuclear physics, Pauling promised that the quantum mechanical calculations enabled by his polyspheron theory were essentially the same as those that had been made using various other models in the past. Perhaps unwittingly, this assurance left many colleagues within the field wondering why Pauling was bothering to develop this theory at all. For many physicists, Pauling’s work seemed redundant, or perhaps merely an attempt to change the names of existing terms to new ones that fit more elegantly into Pauling’s conceptual framework of atomic structure. Pauling countered this skepticism by suggesting that both qualitative and rough quantitative conclusions could be drawn from his model without the aid of extensive calculations. If these conclusions agreed with the experimental evidence, Pauling argued, then detailed calculations of this sort might not always be required in the future, pushing scientists just that little bit closer to the discovery of their holy grail. 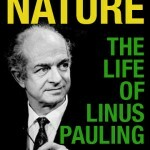 Linus Pauling’s The Nature of the Chemical Bond, first published in 1939, was the product of over two decades of diligence, sacrifice, and collaboration among a broad range of actors that included Pauling’s family, research assistants, professional colleagues and a variety of institutions. 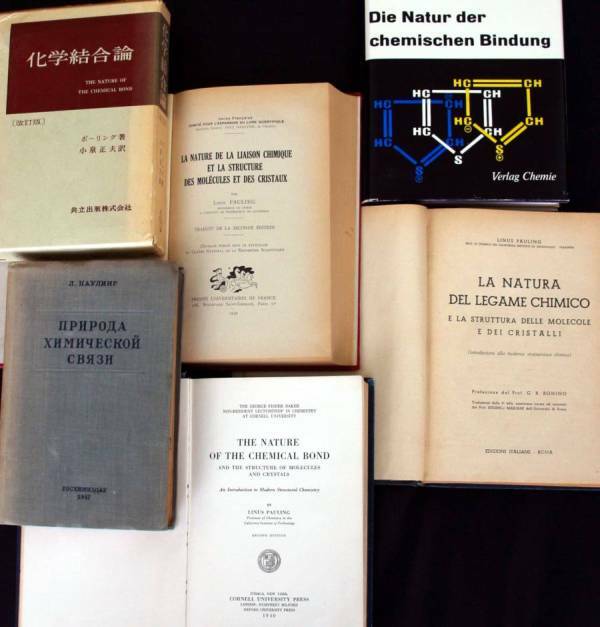 Pauling’s prefatory remarks to the book – “For a long time I have been planning to write a book on the structure of molecules and crystals and the nature of the chemical bond” – give an indication of the extent to which this was a long-term objective for Pauling, despite his being only 38 years old. Looking back at his process, Pauling’s application for a grant from the Carnegie Institute in February 1932 provides a more detailed affirmation of his ambitions. In it, Pauling relayed how his undergraduate research in crystal structures at Oregon Agricultural College between 1917 and 1922 had laid the foundation for his current work by bringing him into contact with contemporary questions in structural chemistry. As a graduate student at Caltech, Pauling began to search for answers to those questions in the newly developing field of quantum mechanics. In pursuit of those answers, Pauling and his wife Ava Helen, with the support of a Guggenheim Fellowship, left their one-year-old son, Linus Jr., with Ava Helen’s mother in Portland and traveled to Europe in 1926 to study quantum mechanics at its source. There, Pauling deepened his understanding and immersed himself even more by beginning to apply the new physics directly to chemical bonding. Upon returning to Caltech in 1927, Pauling began to seek funding so he could continue what he had begun. 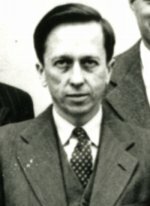 Let down by the National Research Fund, Pauling supported his work with funding from Caltech and the National Research Council, money which allowed him to hire a full time assistant, J. Holmes Sturdivant, who focused on x-ray crystallography and continued to work with Pauling for many years. 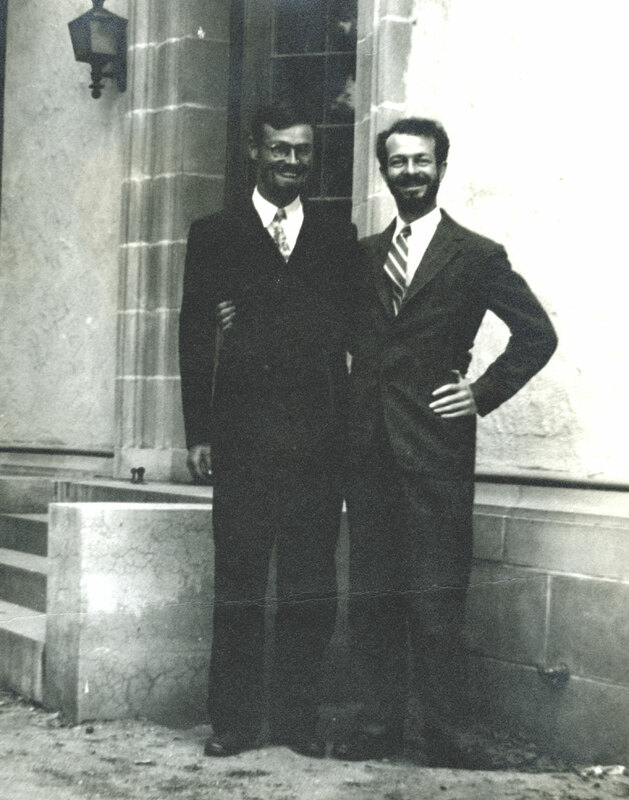 Pauling also brought aboard Boris Podolsky for nine months to assist him with the more detailed technical components of connecting quantum mechanics to chemical bonding. In 1932 Pauling expressed a hope that, with help from the Carnegie Institute, he could expand his work by funding more assistants and purchasing equipment like an “electric calculating machine,” a “specialized ionization spectrometer,” and a microphotometer. The Carnegie Institute was not interested. Luckily for Pauling, the Rockefeller Foundation came through with a general grant of $20,000 per year over two years, to be split between the physics and chemistry departments at Caltech. This allowed Pauling to keep Sturdivant on staff while adding George Wheland, Jack Sherman, and E. Bright Wilson, Jr. to his research team. This scramble to secure funding and bring new people into the lab came amidst the publication of Pauling’s first four “Nature of the Chemical Bond” articles for the Journal of the American Chemical Society, proof positive that Pauling’s work was bearing fruit. Once the funding was secured and Sherman and Wheland began producing results, Pauling wrote – with Sherman and Wheland as co-authors – three more “Nature of the Chemical Bond” articles the following year, published in the newly established Journal of Chemical Physics. 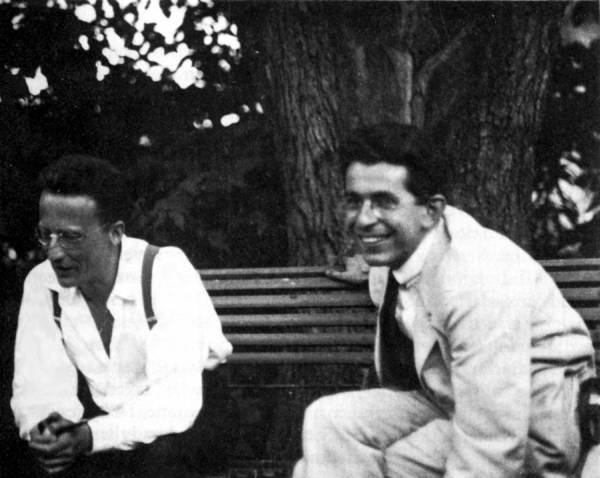 Wheland also worked with Pauling on a monograph discussing the application of quantum mechanics to organic molecules. Wheland finished his part of the book by 1937, but Pauling never got around to his portion: his desire to write a book length treatment of chemical bonds began, more and more, to take center stage. In order to keep the funding coming in through the lean years of the Great Depression, Pauling was compelled to follow the lead of his patrons, the Rockefeller Foundation. Warren Weaver, Director of Natural Sciences for the foundation, told Pauling in December 1933 that the organization was “operating under severe restrictions” and that funding would go to projects “concentrated upon certain fields of fundamental quantitative biology.” That Pauling’s work had “developed to the point where it promises applications to the study of chlorophyll, haemoglobin and other substances of basic biological importance” was key to his potential receipt of continued dollars. I am of course aware of the fact that our plans for organic chemistry not only have been developed with the aid of your continued advice but also are based on your initial suggestion and encouragement; and I can forsee that I shall be indebted to you also for the opportunity of carrying out on my own scientific work in the future to as great an extent as I have been during the past six years. Secure funding allowed Pauling to maintain a research group consisting of graduate students and post-doctoral fellows. In his preface to The Nature of the Chemical Bond, Pauling expressed his gratitude to several of these individuals, including Sherman and Sturdivant. Another, Sidney Weinbaum, earned his doctorate under Pauling and continued on afterwards, helping Pauling with quantum mechanical calculations and molecular structures. Fred Stitt worked as research fellow with Pauling and assisted him in teaching his graduate course on the applications of quantum mechanics to chemistry – an exercise, no doubt, that helped to shape Pauling’s own thoughts on the subject, crystallizing them in preparation for the book. Once assembled, Pauling’s team helped him to refine his understanding of chemical structures and bonding as the time approached when he could produce a book-length treatment on the subject. Clarissa Lee is the most recent alum of the Oregon State University Libraries Resident Scholar Program, having completed her stay in Corvallis in early January. Lee is a Ph.D. candidate in the Program in Literature at Duke University. 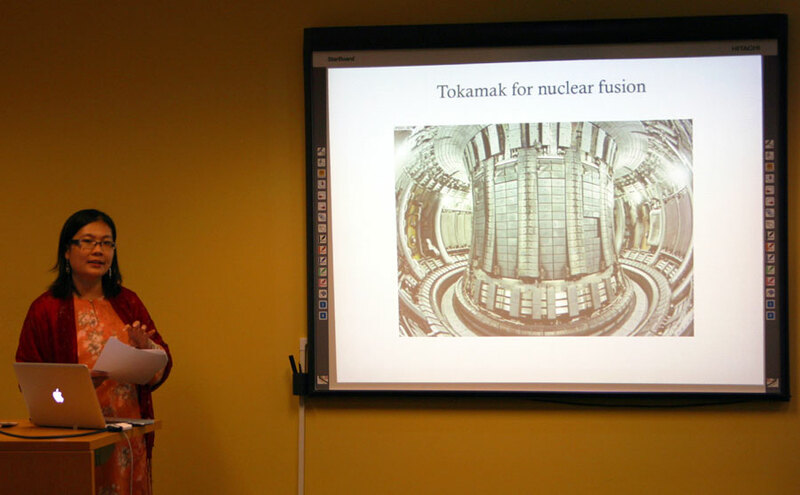 The focus of Lee’s research and writing is the notion of speculation in contemporary quantum theory; or, more generally, “speculative physics.” While at OSU, Lee dug deeply into the History of Science rare book collection, the History of Atomic Energy Collection and the Ava Helen and Linus Pauling Papers in support of her dissertation. helped me shape…the arguments I am making about the freedom and constraints involved in physics speculation, especially through some of the physics problems faced by scientists in moving between theoretical prediction and experiment. To this end, Lee made extensive use of Linus Pauling’s collection of Analog: Science Fact and Fiction paperback periodicals. 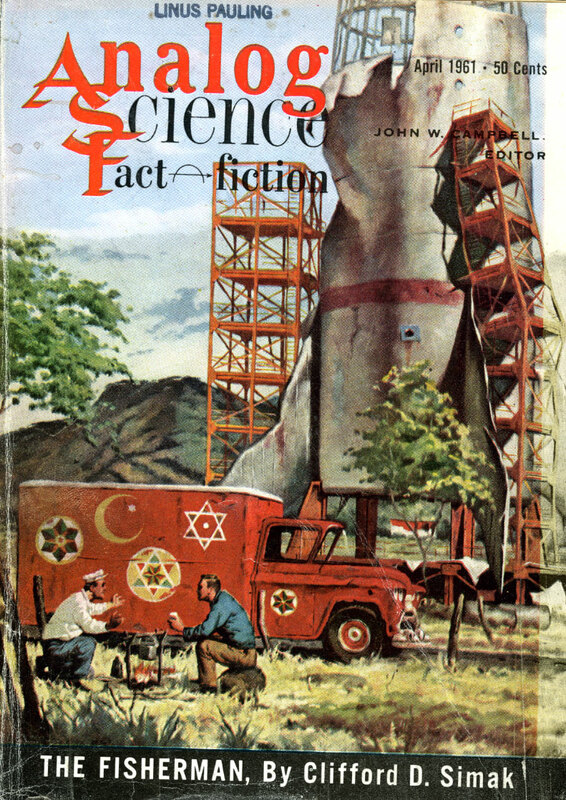 Along with detective stories and the occasional walk, reading science fiction was Pauling’s favorite leisure activity, and his papers include thousands of dog-eared science fiction monthlies – a much-needed escape for Pauling from the unrelenting pressures that surrounded him for much of his life. trying to formulate some preliminary ideas concerning how fictionalizing can be used as a way for creatively modeling existing scientific ideas, theories and facts that aid scientists in pondering about more speculative areas of science, while also using scientific material to deal imaginatively with interdisciplinary studies of science and the humanities. The Resident Scholar Program, now in it sixth year, offers research stipends of up to $2,500 in support of researchers wishing to make extensive use of materials held in the OSU Libraries Special Collections & Archives Research Center. More information about the program, including the application form, is available here. The deadline for 2013 applicants is April 30th. 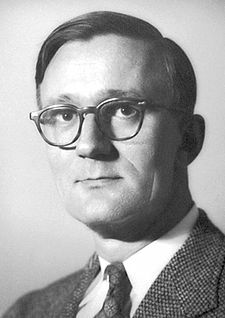 Today marks the centenary of the birth of Polykarp Kusch, an accomplished physicist and Nobel laureate, born in Blankenburg, Germany on January 26, 1911. 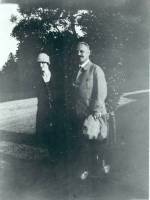 In 1912, the Kusch family moved from Germany to the United States, where Polykarp would later build his reputation as a respected and successful scientist. After concluding his pre-college education in the Midwest, Kusch enrolled in the Case Institute of Technology (now the Case Western Reserve University) in Cleveland, Ohio. Although he initially planned to pursue a degree in chemistry, his interests quickly shifted toward physics, and he received his Bachelor of Science in the subject in 1931. Kusch continued his secondary education at the University of Illinois, where he earned both his Master of Science and Ph. D. in 1933 and 1937, respectively. Upon completing his education, Kusch began a career in scientific research. He held his first position at the University of Minnesota, where he worked as a research assistant. 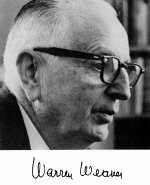 There, he learned the technique of mass spectroscopy and garnered the support of his supervisors, which eventually led to his appointment as an instructor at Columbia University in New York City. At Columbia, Kusch worked in the lab of I.I. Rabi, and had the opportunity to take part in the magnetic resonance spectroscopy research that would later win Rabi the 1944 Nobel Prize in Physics. In 1941, Kusch left Columbia for a few years, during which time he researched and developed microwave generators and vacuum tubes for the Westinghouse Electric Corporation and the Bell Telephone Laboratories. Around 1946, Kusch returned to Columbia, where he accepted a position as associate professor and conducted research in quantum mechanics. Specifically, he was most interested in the components of the atom – protons, neutrons, and electrons – and the ways in which they interacted with each other. This research would lead to his sharing of the 1955 Nobel Prize in Physics with Willis. E. Lamb. Kusch won his portion of the prize for “his precision determination of the magnetic moment of the electron,” a breakthrough that led to the development of a new field of physics called quantum electrodynamics, which describes how light and matter interact with one another. In 1949, Kusch was promoted to full professor at Columbia; he would eventually become academic vice president and provost of the university. In 1972 he decided to leave Columbia for the newly established University of Texas in Dallas, where he assumed a position as professor – he retained this role until his retirement in 1982. As Kusch’s career reached its later stages, he became more interested in societal issues, such as overpopulation and education, and the manners in which they could impact scientific progress. Besides the Nobel Prize, Kusch received many other awards, including the Illinois Achievement award in 1975. He was also a member of several important organizations, such as the National Academy of Sciences, the American Association for the Advancement of Science, and the American Philosophical Society. There is little evidence in the Pauling Papers of extensive interaction between Kusch and Pauling. Two sets of correspondence, however, suggest that the pair did share certain commonalities, and are indicative of the traits that, for better and for worse, tended to define Pauling’s professional life. In the first instance, Kusch sent a telegram to Pauling dated November 7, 1960 indicating that one A. F. Forance had invited him to appear at an educational gathering but that, “in no event will I speak before his group. 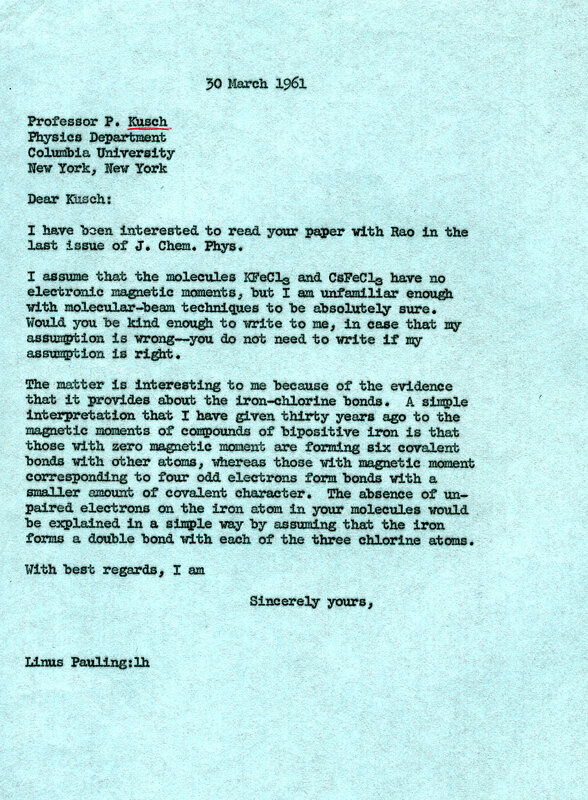 I intend to send a letter of vigorous protest.” It appears that Kusch’s note was sent in reaction to Forance’s having slighted Linus Pauling – an all too common occurrence for Pauling during this chapter in his life. When I arrived in Cincinnati at 5 P.M. Mr. Forance and another teacher…met me at the airport. 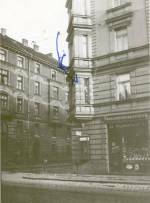 We started on the auto trip to the city, and after perhaps fifteen minutes, Mr. Forance mentioned that the address for that night in Cincinnati had been canceled. We have to recognize that high school teachers and people in secondary education are quite vulnerable, and my own feelings about Mr. Forance have softened somewhat with the passage of time. Pauling to Kusch, March 30, 1961. In providing the requested information, Kusch notes that “I am always delighted to have someone read my papers which generally describe an intense interest in a subject but not necessarily an interest of very many scientists in the subject matter.” Indeed, this trait of intense interests in all manner of scientific topics shows up again and again in Pauling’s exchanges with his colleagues. Coupled with an extraordinary work ethic, Pauling’s never-ending sense of wonder about the world was, as much as any other trait, the secret to his success.